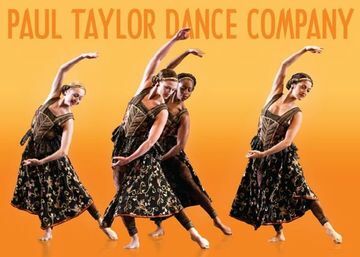 I am thrilled to announce that the NYC Celiac Meetup Group is co-hosting the 8th Annual Evening with the Paul Taylor Dance Company Celiac Benefit on March 12, 2013. This is one of my favorite benefits of the year and I am proud to be a part of it again. For the second year, this event is at the David H. Koch Theater at the beautiful Lincoln Center. Last year, I went to the show twice and I was not disappointed. The athleticism of the dancers always astounds me. The architecture of Lincoln Center only adds to the wonderful event. The March 12th event begins with a gluten-free reception at 5:45pm with the show at 7pm. The program: Kith and Kin (music by Mozart), Eventide (music by Vaughan Williams) and Cascade (music by Bach). You may purchase good $29 seats with no additional fees through my NYC Celiac Meetup group. A portion of each ticket benefits the Celiac Disease Center at Columbia University. To buy Meetup tickets, please visit our website for details.There are no refunds or exchanges on these tickets. Other ticket options are available. Tickets to this event at $310, $145, and $85 are available through the box office. A portion of each of those tickets benefits the Celiac Disease Center if you mention promo code CELIAC.